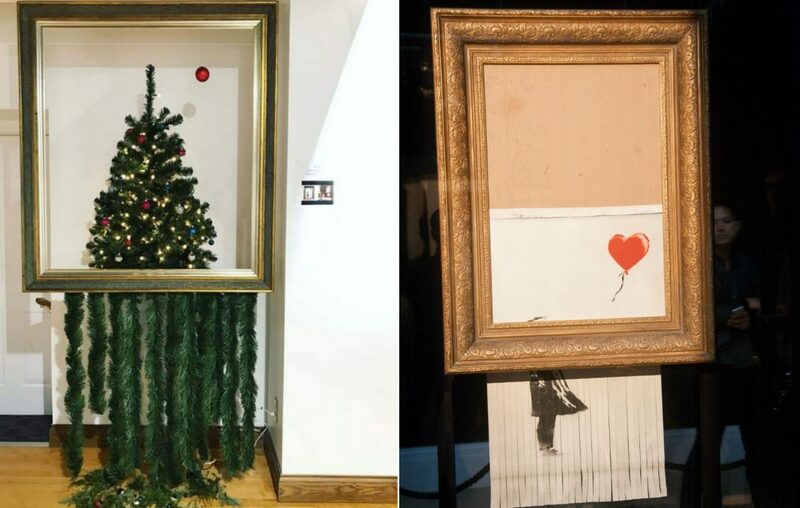 A Banksy inspired “shredded” Christmas tree has been created to honour the mystery artist. The shredded tree was created after Banksy masterminded the shredding of his artwork, Girl With Balloon after it was auctioned for millions at Sotheby’s. The tree was created by art-loving volunteers Kelley Cartwright and Kasey Snyder and features in the centre’s annual Artist Tree Display. The pair paid attention to detail and even included the red bauble that takes the place of Banksy’s red balloon.